Paste Drink is Giving Away Two Tickets to Beer Camp Across America! 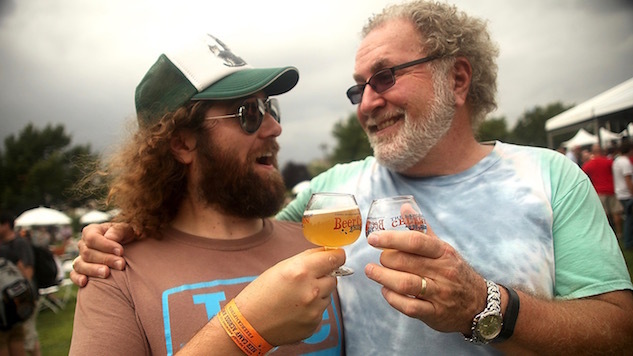 Sierra Nevada is bringing back Beer Camp Across America, a roving celebration of craft beer that brings together hundreds of brewers for six separate festivals in June. We went to one of the festival stops in 2014 and had a little bit too much fun (you know it’s a good time when grown men do cartwheels). We want to give you the chance to do cartwheels too, so Paste Drink is partnering with Sierra Nevada to give away a pair of tickets to the Beer Camp Festival of your choice. See a festival you want to attend? Follow the contest directions below and you could win a pair of early access tickets that includes entry to the festival an hour in advance (no lines! ), and custom tasting glasses for the thousands of craft beer samples on hand during the festival. Our advice: don’t try to drink them all. 1. Follow PasteDrink on Twitter. 2. Tweet at @pastedrink using the #BeerCamp hashtag and let us know which Beer Camp you’d like to attend. One person will be chosen at random and will be contacted to have their Beer Camp Across America tickets sent out to them. A winner will be chosen in the next few days, so don’t wait!